Satin has recorded a growth of 40% in AUM during FY18 and also ventured into new territories to break the geographical concentration. 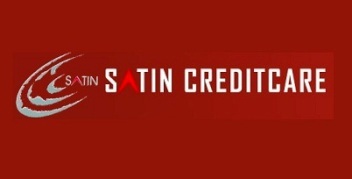 Satin Creditcare Network Limited (“SCNL”), has received a revision in rating by CARE Ratings for their Long Term Bank Facilities and NCDs from BBB+ stable to A- stable. While, the Preference Shares rating has been upgraded from BBB to BBB+, whereas the Sub-debt facilities rating have been upgraded by two notches from BBB to A-, and rating of Commercial Paper (CP) issue has been revised from A2 to A2+. This revision indicates that the rating agency has upgraded SCNL from a moderate degree of safety regarding timely servicing of financial obligations and moderate credit risk to adequate degree of safety regarding timely servicing of financial obligations with low credit risk. The revision in rating is the result of the company’s demonstrated ability to raise capital, substantial reduction in net NPA, improvement in collections and substantial provisioning / write off done in FY18, comfortable liquidity position and improvement in risk management system with the implementation of new in-house software which allows real time monitoring of operation, increase in NIMs and reduction in operating cost. Satin has recorded a growth of 40% in AUM during FY18 and also ventured into new territories to break the geographical concentration. The company’s capital raise of Rs. 439.30 Crores during FY18 has helped it to maintain strong Capital Adequacy Ratio (CRAR) of 23.7%.